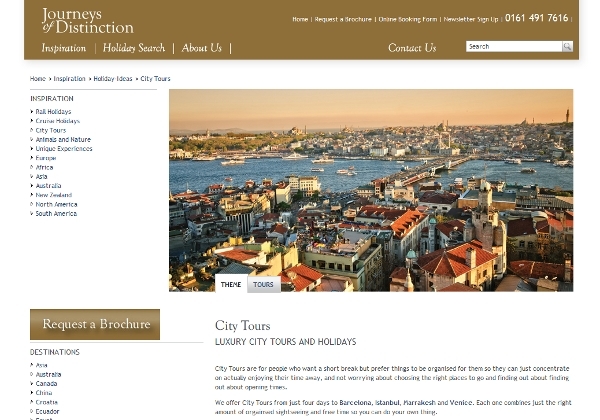 Journeys of Distinction Europe City Tours Page Journeys of Distinction Europe City Tours Page. 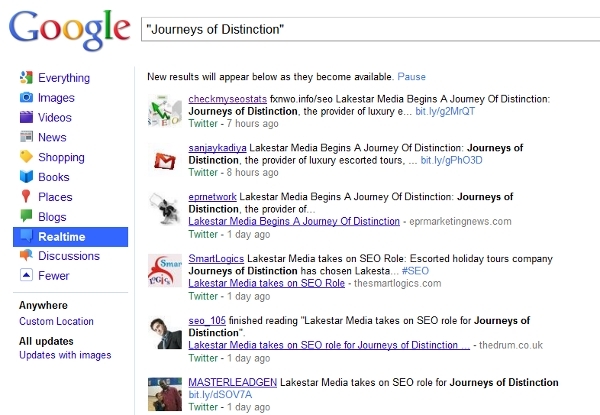 Journeys of Distinction, the provider of worldwide luxury escorted tours, just announced that it has selected Lakestar Media has been given the task to improving its digital marketing and search engine optimization. Journeys of Distinction has been creating well planned, premium quality escorted tours, cruises, city yours and rail holidays for over 30 years. It covers destinations as far as the eye can see, from Italy to Patagonia. Acquired by Kuoni Travel Ltd in 2006, Journeys of Distinction still operates independently of any other service. Real time mentions for "Journeys of Distinction"
The travel industry is going to see a steady influx of new competitors over the next five to six years, so the current players further strengthening their foothold is a smart move. The shift from a static Internet to a mobile Internet is going to change the overall experience too, as well as the ways in which the experience is consumed and spread. For Journeys of Distinction, this news comes at an opportune time. With an Alexa dropping like water flowed into the Titanic, it is about time someone marketed this nice offering. 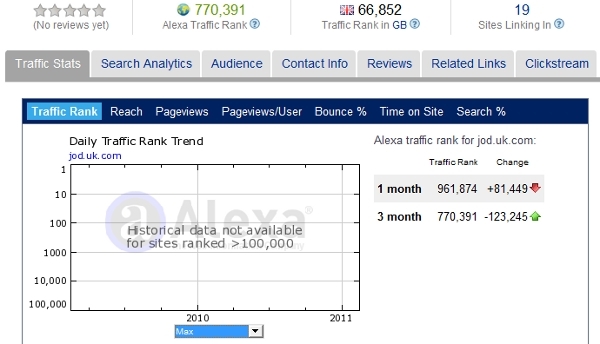 The graph below shows the equivalent of (by my guess) 300 people visiting the site in the last month? Taking a look at the Google mentions for Journeys of Distinction, the only activity worth mentioning has taken place since Lakestar Media took the assignment it appears. Much of that is in the form of links via SEO blogs, blurbs, and releases – link building on its way with a touch of brand enhancement at least. As for the social outreach, so far the “real time waves” are only reverberations from the press release, and few and far between (image above). I just wanted to thank you for picking up this story and developing it for your blog. It’s early stages yet, but we a thoroughly enjoying working with this unique client, and are looking forward to implementing the digital stategy that we have developed. Thanks again for all your time.